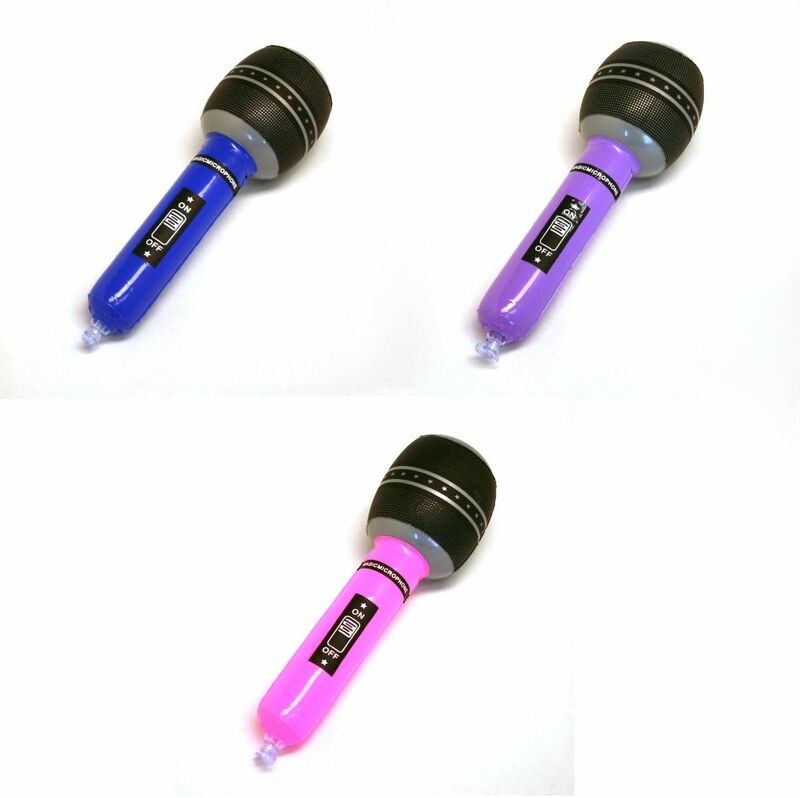 These inflatable microphones are perfect for your blues brother party or music event. The microphone inflates are also a great filler for a goody bag. Even if you can't play an instrument, the microphone inflates are a great way to be part of the band. Use these microphone inflates to encourage your guests to sing along with their favorite songs or just use them as fun props for a photo booth. Microphone inflates are a great item for pretend play. These microphone inflates are 10 1/2" long and are a great items for the lead singer in your pretend band. I ordered these for the dance floor for my wedding. A fun item for people to be silly with and 'sing' to songs. We haven't used them yet, but I have blown a few up and they are great!